What a fun winter it has been here in Vail! To celebrate a season of extraordinary snow conditions and fun winter events Vail is inviting you to join the festivities happening this weekend as a part of the annual Spring Back to Vail extravaganza. This year the event includes much more than the beloved free concerts; from on mountain family activities, to discounted spa packages and a lot in between everybody in your group is guaranteed to have a ton of fun. The big music event of the weekend will be the Steel Pulse & Xavier Rudd concert on Saturday night. The concert will start at 6pm at the Ford Park venue, general admission is free of charge but if you want to make it an even more memorable night buy a $100-VIP ticket for access to the special viewing area and complementary food and drinks. Live entertainment will not be limited to only the evening concerts. Throughout the weekend Mid-Vail will feature live music from 12 to 2:30 with Robby Peoples Band on Saturday and Bob Masters Duo on Sunday, Express Lift Bar by Gondola One will kick off the apres with live music from 2:30 to 4:30 as well. Some of the other places around town that will have live entertainment for Spring Back to Vail include Fireside Lounge at Hotel Talisa, The Remedy Bar, Shakedown Bar, 10th Mountain Whiskey & Spirits Co, King’s Club at the Sonnenalp and Bridge Street Bar. Celebrate spring in Vail with the special offers that retailers, restaurants and spa studios are offering during Spring Back to Vail. Whether you are looking to update your closet with new spring styles or in search for the perfect art piece you are sure to find great deals in the participating Savor Vail shops. 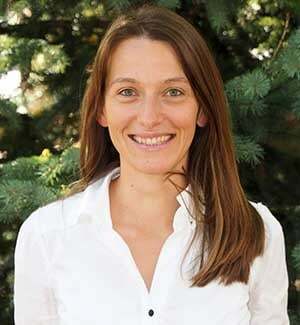 Arriesgado Clothing Co, Blitz Boutique, Due Luca Bruno Eye Pieces, Galerie Zuger Vail, Vail Sports and Vista Bahn Ski Rentals are among the places offering limited time special. For specials on drinks and food and a full list of the restaurants taking part in Savor Vail this year visit vail.com/Springback. Some of the best deals are bottomless Mimosas for $ 18 at Vintage, free dessert with purchase of three small plates at Leonora and 10% off crepes at Big Bear Bistro. The spas taking part in Savor Vail offer up to 25% off selected services, among the participants are RockResorts spa at the Arrabelle, Sonnenalp Spa, The Spa at Hotel Talisa, The Spa at Vail Athletic Club and Vail Rocket Club. There are plenty of activities around the Village and on the mountain this weekend. The Festival Village will be open both Saturday and Sunday and feting demos, product sampling, and some food and beverages for sale. On Saturday Mid-Vail will host Tik’s & Tunes Luau from 3 to 5pm — a spring themed party with live music, hula hoop contest, limbo competition, luau food specials and lots of giveaways. 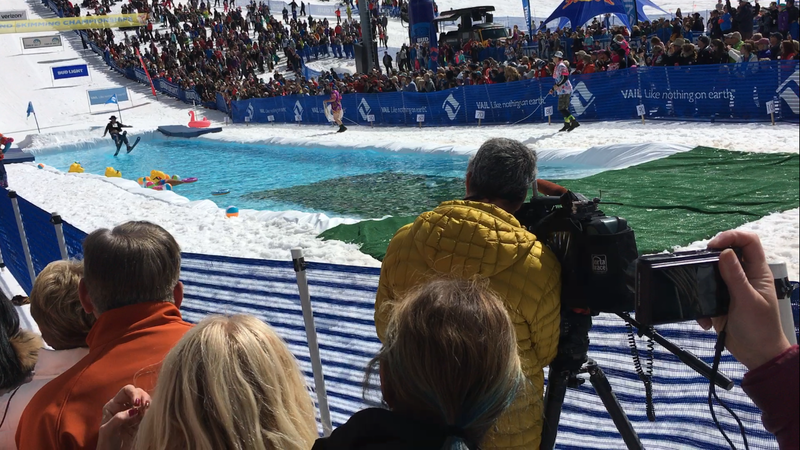 The annual World Pond Skimming Championship will take place on Sunday starting at noon at Golden Peak. The top male and female participants will be awarded the grand prize of a 2019-2020 Epic Pass. This is a super fun family friendly event with a lot of giveaways and awards for both participants and viewers. 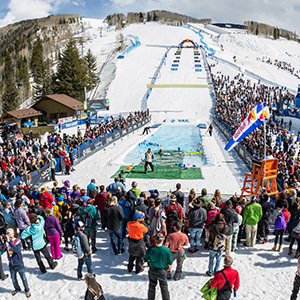 And if you are not sure about your pond skimming skills you might want to give the Spring Back Bags Tournament a try. Just make sure to be at Golden Peak by noon to register. The event is free for participants 21+ and is scheduled to start at 1pm.